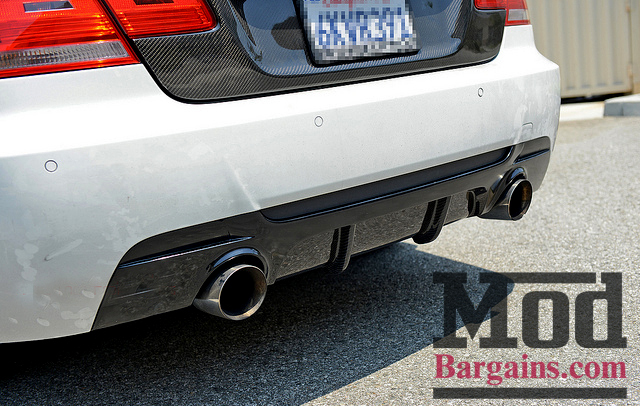 Take your E92 335i to another level in style with this BMW Performance Style 335i Rear Diffuser. Want to add some aggressive styling to your E92 335i? 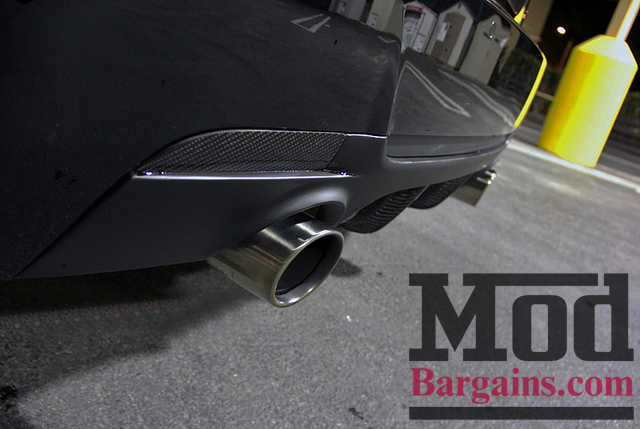 ModBargains has just what you want with this BMW Performance Style 335i Rear Diffuser available in carbon fiber or FRP. 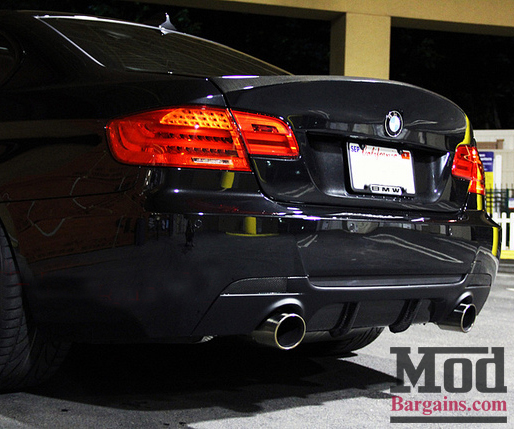 This BMW Performance Style Rear Diffuser is a perfect upgrade for any 335i. It installs in a matter of minutes to give you a unique and aggressive look, that will have every car enthusiast gawking. Before each BMW Performance Style Rear Diffuser is shipped out it is tediously quality checked to make sure you get nothing less then a show quality piece. 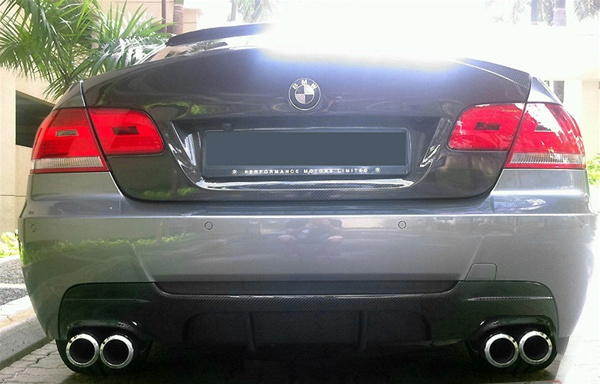 So take your E92 335i to another level in style with this BMW Performance Style 335i Rear Diffuser. This rear diffuser is the best deal and the carbon fiber has an amazing gloss on it making the rear bumper very agressive. Gilbert really took the time to inform me that this fits amazing on the modbargains rear bumper and I agree it came out awesome and fits perfect.